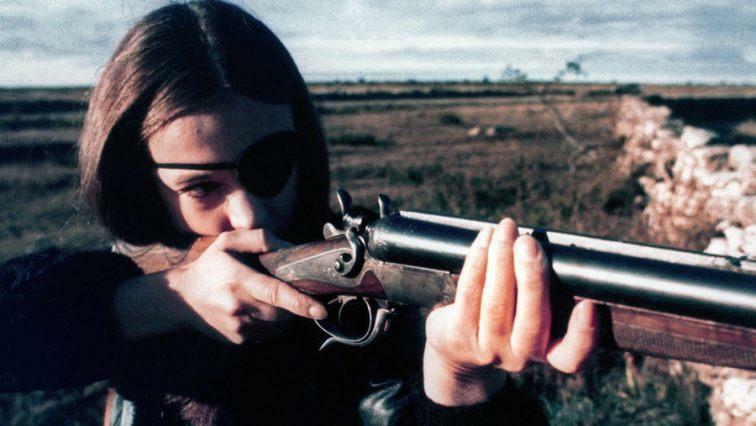 Ahead of the UK premiere of Adrián García Bogliano’s hypnotic BLACK CIRCLE at Arrow Video FrightFest Glasgow 2019, star and Swedish exploitation icon Christina Lindberg reflects on memorable moments, meeting Tarantino and making a comeback. How did your modelling career start and did that inevitably lead to your career as an actress? I was discovered the classic way; on the beach at the age of 18. After having been photographed as a “bathing girl” for most of the newspapers in southern Sweden, I was asked to do a centrefold shoot for one of Sweden’s biggest men’s magazines, by Siwer Ohlsson, the most celebrated glamour girl photographer of the time. I said yes to throwing away my bra, despite the fact that as a young woman, I was very shy. I was suddenly in the spotlight, just a few days after completing my high school exam. The film was Rötmånad (Dog Days) (1970), and, incidentally, it had its international premiere at the Edinburgh Film Festival! When did you first learn that Quentin Tarantino based the Bride character in KILL BILL on your role in THRILLER/THEY CALL HER ONE EYE? I had only seen Tarantino’s Pulp Fiction and thought it was a really good movie. But I didn’t know much about Tarantino apart from that. So it took me a while to really grasp what an incredible homage to Thriller it was, that he was inspired by it, and talked about it in interviews. A couple of years ago I met Tarantino, in conjunction with the Swedish gala premiere of Inglorious Bastards. The film distributor set up a meeting at the Grand Hotel in Stockholm, requested by Tarantino. We talked for quite a while, and exchanged autographs. To see to it that the meeting was documented properly, he brought me out on the red carpet that night, so we could be photographed together. Something he knew I could benefit from. Do you have any memories of making THRILLER/THEY CALL HER ONE EYE? Did you think it would have the longevity it has? Oh, yes! I have lots of memories. It was a film shoot out of the ordinary…There was a lot of drama behind the camera. For example, the director never got permission to use the locations or fenced them off, so one day when we shot a scene in a park, when I threw myself out of the (fake) police car, with my leather coat, eye-patch and sawn-off shotgun, people on their casual Sunday walks actually started running for their lives! This was a film that really stood out at the time, but that it would still be of interest and celebrated 45 years later, was something I could never have imagined. When you look back at your 1970s film career, what stands out? Do you have any particular affection for any of the movies or are they now just cause for embarrassment? I have always tried to do my best with my film roles. I have no regrets about what I did in the movies. But of course some films are closer to my heart than others. You became a noted aviation journalist and animal rights activist after you ended your film career so what made you decide to come back to acting after a 30-plus year gap with BLACK CIRCLE? I never really let go of my film career past. That’s why it felt completely natural to say yes, when Bogliano offered me the part in Black Circle. It was like coming home again. What did you like most about the BLACK CIRCLE script? It was the mystery and the darkness in the story. The role as Lena fitted me perfectly. I have some of her character in my persona. Were you aware of the work of director Adrian Garcia Bogliano? What films of his did you watch before signing on to play the character of Lena? I had only heard positive things and admiration for Bogliano, before I accepted the part. I knew he was a fan of Ingmar Bergman, as well as of Thriller. I had seen two of his films that I really liked; Scherzo Diabolico and I’ll Never Die Alone. How did you find being back in front of the camera after all these years? And working with co-stars Hanna Asp, Hanna and Erica Midfjäll, Madeleine Trollvik, singer Johan Palm and especially Inger Nilsson, the original Pippi Longstocking! The atmosphere on location was fantastic. Everyone involved in the film was eager to do their very best, especially since we had a tight shooting schedule. You’re back, does that mean you are now open to other movie offers? Absolutely. I just shot a short film - a drama about relations set at Christmas time. 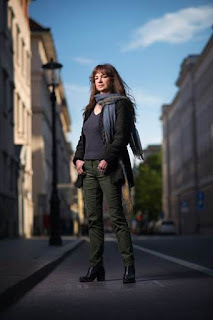 I have also been offered a part in a new Swedish feature film, Biodlaren (The Beekeeper), which will be shot this year. Black Circle has really given me an appetite for more. BLACK CIRCLE is showing at the Glasgow Film Theatre on Sat 2 March, 3.30pm, as part of Arrow Video FrightFest Glasgow 2019. Christina will be attending.